I write feature articles and blog posts across a range of magazines and websites in Australia and the UK. 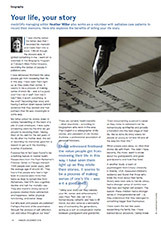 Here are just a few – and scroll down further for some tips on writing feature articles. Feature articles reflect the human experience, whereas news stories report on current events. Feature articles focus on an event or a person, and they take the reader on a journey, giving them a glimpse into the truth behind a subject. Here’s how to write an effective and engaging feature article. 1) Find the original angle to your story. Just recently, I wrote a feature article about Thai Cave hero Dr Richard Harris, and how he comes from a long line of medicos. I was wondering how to tie it together in an interesting way, when I came across a cutting from an old newspaper. It told me that young Jimmy Harris almost drowned as a three-year-old boy, when he was sucked through a concrete pipe culvert full of irrigation water. In that stranger-than-fiction way that life sometimes has, little Jimmy grew up to become Dr James Harris, father of Richard Harris, the Adelaide anaesthetist who made world headlines for his underwater rescue work in a flooded Thai cave system. Right there – an original angle for a feature article that could otherwise have been humdrum, considering the level of coverage of the rescue at the time. Once you have found your angle and start to write your feature article, bear in mind the ‘show, don’t tell’ rule. It’s one of the first lessons I learned when I was studying professional writing and editing. It can be tempting to describe something as ‘nice’ or ‘normal’ or ‘funny’ … but that doesn’t really describe anything it all. In fact, it’s lazy writing. What is it that is nice or normal or funny about them? How did you come to that conclusion? What did you notice? Use your powers of observation to find the detail – and choose your adjectives and verbs carefully. That’s how you make an impression when you are writing feature articles. 3) Make the point of your feature article clear up front. A reader wants to know early on ‘Why should I care?’ If you don’t answer that question quickly and concisely, you will lose the reader’s interest. Don’t get too caught up in trying to be clever with your writing. Think of the reader first and how they will understand what you are saying. 4) Don't overuse direct quotes. It can be tempting to transcribe an interview and let the quotes make up the bulk of your story. Again, that’s lazy writing. Use your own prose, and a well-placed quote to enhance your point. 5) Who are you writing for? You will need to tailor your feature article depending on your audience, and the type of publication you are writing for. You could pitch an article on the same topic in different ways to different publications. For example, I have just finished writing an article about life stories – a topic dear to my heart. 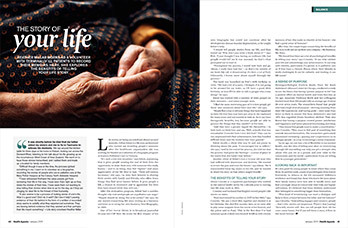 I wrote about the health benefits of telling your life story for a health magazine. I wrote about recording and writing the life stories of people who are dying for a doctors’ magazine. 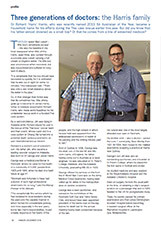 And I wrote about the ‘7 reasons why we should write our life stories’ for Life Stories Australia. 6) Just tell the story. This is a rule I was taught as a young writer and editor – don’t let your opinion on a topic or person about which you are writing cloud the story itself. Keep yourself out of it. Just tell the story. 7) Have your article edited. Don’t let errors detract from your writing – editors won’t be impressed. Edit, edit and edit again. And then proofread. Get yourself a copy of The Style Manual: For Authors, Editors and Printers (6th Edition, published in 2002 by John Wiley & Sons, Australia). This covers all the rules of editing for style, consistency, grammar and spelling. If you need some help writing feature articles, please contact me.